Editor’s Note: Oklahoma State Auditor and Inspector Gary Jones has done more to stop corruption and open government records from County Seats to the State Capital than any person in state history. Jones, now term-limited, here endorses in the battle to select his replacement Tuesday. While we have disagreed on policy with Jones on occasion, no one in Oklahoma has cause to doubt his truthful service. This letter, sent to Tulsa Today, is his perspective on the race. Time to Set the Record Straight! It’s tough sitting on the sidelines while someone demeans your record, office, and leadership. Charlie Prater, who is running to be state auditor, has built his entire campaign on false accusations and baseless lies. Prater accused Deputy State Auditor Cindy Byrd of campaigning on state time and bilking taxpayers out of tens of thousands of dollars in travel expenses. The TRUTH is Cindy Byrd has not spent a single dime of taxpayer’s money. She travels at her own expense and takes personal leave time to campaign. 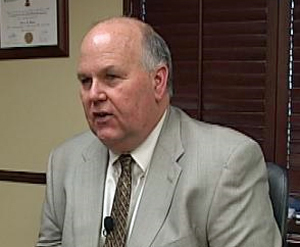 Now Prater has reverted to making accusations of corruption at the State Auditor’s Office. It’s okay to disagree with audits or the job we’ve done safeguarding taxpayer dollars. But, no one has questioned the integrity of the State Auditor’s office since I took office 7 ½ years ago. The State Auditor should not be about misleading the public and Charlie’s done it again and again. He surrounds himself with corrupt officials who were ousted due to Cindy’s audits. He chose a disgraced former state representative as his campaign manager. If this is how he campaigns, how will he audit? It’s a shame that Prater has spent over $400,000.00 dollars attacking Cindy and the Oklahoma State Auditor’s office – all because he knows he can’t compete with the better qualified, more experienced public servant than Cindy Byrd, CPA has been for Oklahomans throughout her career. Editors Addendum: Tulsa Today attends most local Republican clubs every month. 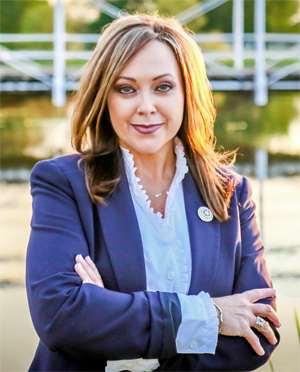 Cindy Byrd has spoken several times to different groups and never has her opponent appeared. Apparently, he is a coward or he doesn’t think he needs Tulsa votes. Byrd is better qualified, forthright, articulate and by any standard, will be a better State Auditor and Inspector. 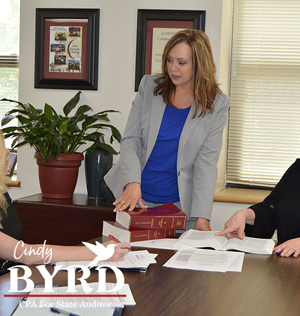 We join OK2A, Gary Jones, Frank Keating and many others in endorsing Cindy Byrd. Click here for her Facebook. Click here for her web site. This entry was posted in State on August 24, 2018 by admin.